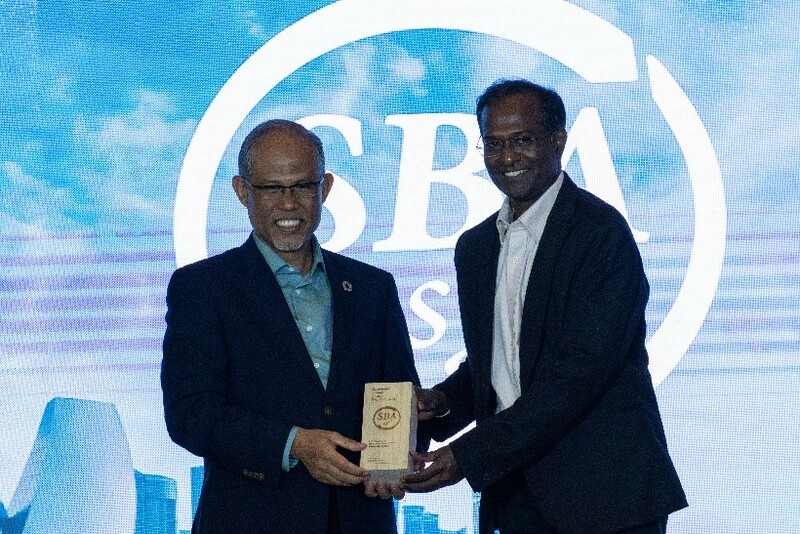 Tuas Mill Manager Nagappan Chandrasekaran (Right) represented K-C APAC and received the awards from Singapore's Minister for Environment and Water Resources Masagos Zulkifli (Left). 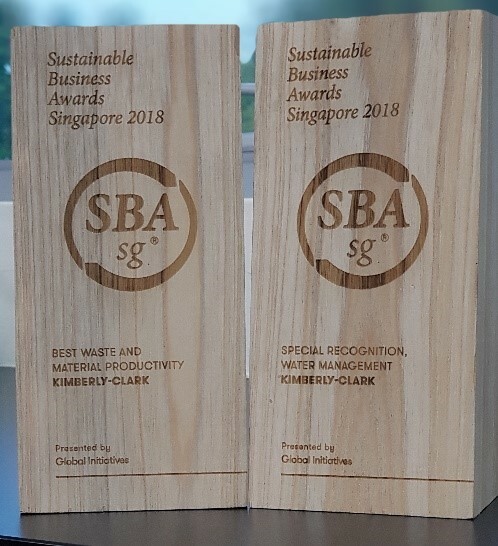 Kimberly-Clark and its employees in Asia Pacific received two honors at the Sustainable Business Awards (SBA) Singapore for its sustainable business best-practices in the areas of waste productivity and water management. The first award, Best Waste and Material Productivity, recognizes Kimberly-Clark for its waste and recycling initiatives, including a program at the company’s Tuas mill that gives trim waste from wet wipes a second lease of life. Through a research partnership with educational institution Ngee Ann Polytechnic, the mill’s trim waste is now being used as a raw material in the treatment of hazardous waste. In addition, the company received special recognition for its work in Water Management - for their commitment in addressing water scarcity at mills in high water stress regions. At Kimberly-Clark’s mill in Kluang, Malaysia, the team has implemented watershed modeling and conservation initiatives that have reduced its water consumption by over 70 percent since 2011 – the equivalent of 1,800 Olympic pools. Established in 2012, the Sustainable Business Awards (SBA) is a unique and important resource for businesses worldwide. Now held in four countries, the awards aim to increase awareness of sustainable business best-practices and demonstrate how sustainable business benefits companies, the environment and all stakeholders, today and for the future. At Kimberly-Clark, everything we do is motivated by our vision to lead the world in essentials for a better life. This vision inspires our efforts to make lives better with the products that we sell and the programs that we implement. Through these efforts, we can create a more sustainable future for our business, and the communities where we live and work. Learn more about our Sustainability 2022 strategy, and read stories from our employees and teams around the world, at http://www.sustainability2022.com.